Bigger isn’t always better. The SKEYE Nano 2 Drone’s miniature design gives it an edge over the competition. 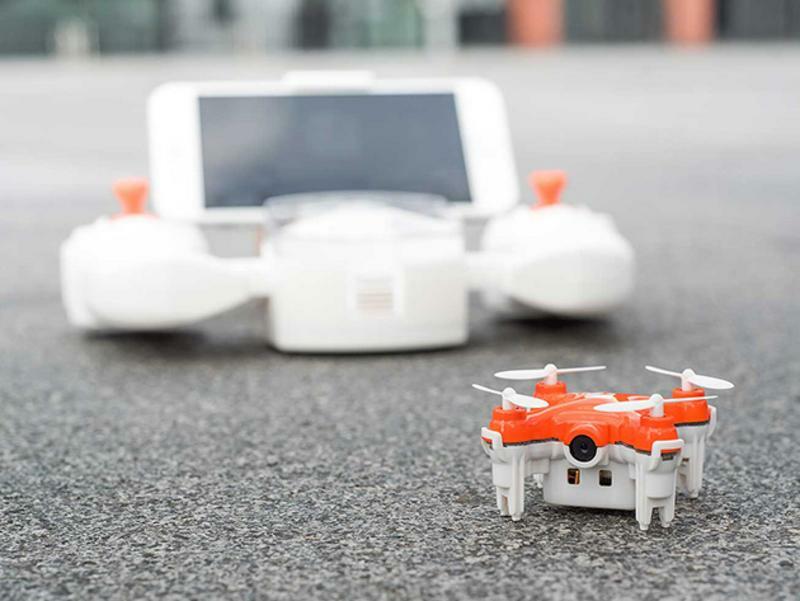 Outfitted with an HD and Wi-Fi-controlled camera, this nimble flyer lets you take dynamic recordings even in tight spaces. Act now, and you can pick it up on sale for only $99. Perfect for beginner pilots, the SKEYE Nano 2 Drone is engineered with adjustable gyro sensitivity and 6-axis control, making for a smooth and stable flight when you’re still learning the ropes. It’s programmed with built-in functions for takeoff, landing, and hovering to help you get the hang of it faster. What’s more, this drone comes with built-in LED lights for easy navigation at night. Once you’ve refined your piloting skills, you can play with the SKEYE Nano 2 Drone’s advanced capabilities, executing impressive flips and aerobatic maneuvers from the controller or your own smartphone. Normally $129, the SKEYE Nano 2 Drone is available this weekend for $99, or $30 off.